Welcome to The Healing Touch Chiropractic! Learn why so many patients recommend us for Chiropractic Care. Meet your family chiropractor at The Healing Touch Chiropractic, located in the heart of Midtown Sacramento. 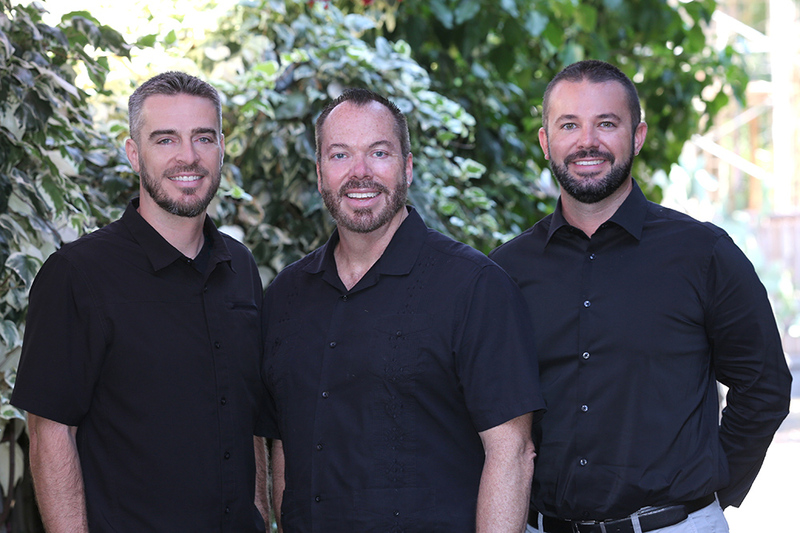 With more than 30 years combined experience, Dr. Darrick Lawson, Dr. Justin Kamerman, and Dr. Daniel Miller bring their patients better health and a better way of life by teaching and practicing the true principles of chiropractic wellness care. The Healing Touch Chiropractic is dedicated to helping you achieve your wellness objectives. The Healing Touch Chiropractic is a true community practice where patients are assured of receiving quality care in a warm and nurturing atmosphere. Dr. Darrick Lawson, Dr. Justin Kamerman, Dr. Daniel Miller, and their staff have a genuine concern for your well-being! New patients of any age are welcome, from babies to seniors, we strive to be your go-to family chiropractor. Everyone’s needs are carefully evaluated. Treatment is individualized and your health and comfort is always the focus. In addition to excellent skill with traditional adjustments, The Healing Touch Chiropractic also offers state of the art Decompression Therapy. This is the latest and best non-surgical treatment available for those suffering lower back pain, sciatica, herniated discs, degenerative discs, stenosis, and other lumbar spinal conditions. This is the treatment of choice to consider before going through aggressive lumbar surgery. Dr. Darrick Lawson, Dr. Justin Kamerman, and Dr. Daniel Miller also work with auto injury victims who have suffered whiplash or other spinal sprain/strains as a result of an auto accident. The Healing Touch Chiropractic team is well equipped to help crash victims with the paperwork, deal with your insurance company, and even make appropriate referrals to other specialists for complete evaluation of your injuries suffered in a car wreck. Plus, The Healing Touch Chiropractic works with the best attorneys in town who specialize in helping victims of accidents. Please check out the New Patient Center and About Us area where you can read about Dr. Darrick Lawson, Dr. Justin Kamerman, and Dr. Daniel Miller. You can also subscribe to the award-winning The Healing Touch Chiropractic newsletter. "So happy that I found this place. Had a pleasure to work with Dr. Miller, who is very professional and know his job 110%. Definitely will recommend to any one who has back problems. I would come to this place first before trying any one else." "I have always been skeptical and apprehensive of visiting chiropractors. However, since visiting Healing Touch Chiropractic, my views have changed. I highly recommend Dr. Lawson. He's very professional, sensitive, and I just love his 'no nonsense' attitude." "Awesome Chiropractic he is a really good one. Is kind and he does care for his patients not just pretend. I really recommend anyone to go with him. I take my husband with me he didn't believed in chiropractors until he meet Dr. Darrick Lawson." "Dr. Darrick Lawson knows what he's doing and takes the time to explain everything so any one can understand." "Wow! Such an awesome office of chiropractors. So welcoming, the office has a home like comfort to it. Sweet dogs greet you as you walk in! It has taken me a very long time to come across a worthwhile chiropractor and I am so glad I have found them! I have kaiser insurance, which is not on their network, but they cover 33% of the out of pocket cost. Which means Adjustments are so affordable at $50! So fabulous i wouldn't go anywhere else!" "I feel really fortunate to have worked with several of the chiropractors at The Healing Touch. I handle lots of personal injury and workers compensation cases, and these guys really know how to look after their patients. They do not overtreat, but rather try to find an efficient way to get my clients back to work and back to enjoying life."